The 18098 is used to mount a user-supplied Eppley solar sensor or a 18285 omnidirectional antenna to a tripod or tower. 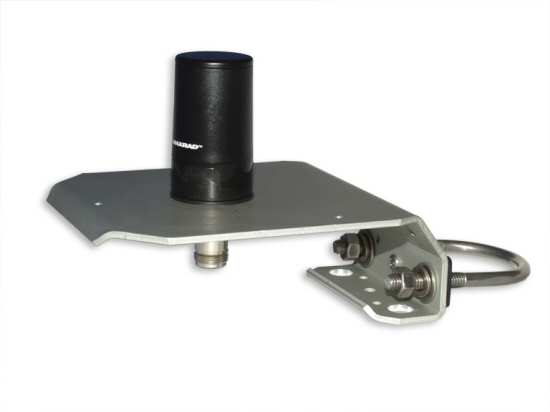 This mounting stand is shipped with the 18285 antenna, and is available as a replacement part. Place the U-bolt on the bracket's bottom holes for attachment to a crossarm. Place the U-bolt on the bracket's side holes for attachment to a tripod or tower mast or to a user-supplied vertical pole. The 18098 can mount to a pipe with a 1 to 2.1 inch outer diameter.